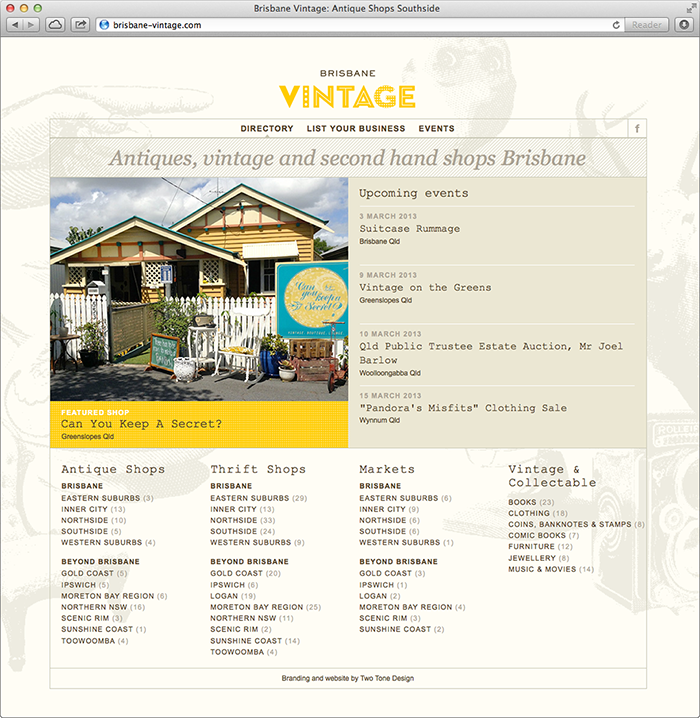 Brisbane Vintage is an online business directory that was created to support the antique, vintage and second-hand community in South East Queensland. The design scheme is a quirky combination of textures, both in the logo and background images, which were manipulated in Photoshop to look like old etchings. The website provides visitors with easy access to local businesses, and creates new audiences for business owners by cross-promoting their business with others in the same area. 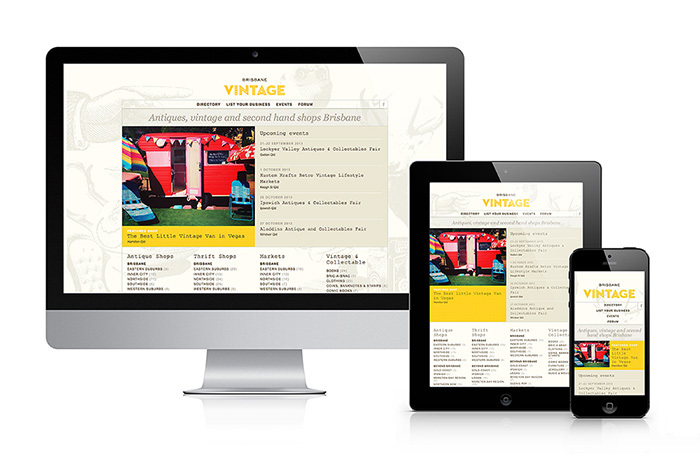 To cater for the large proportion of the audience on smartphones and tablets, the Brisbane Vintage website features an adaptive design that is optimised for the viewing device.